Thanks so much for allowing me to be on your blog today! 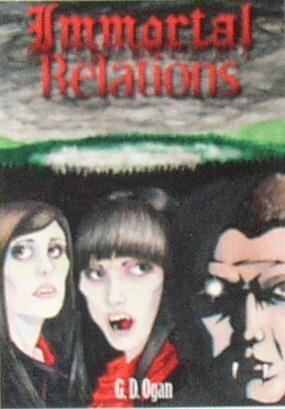 I would love to respond to any and all questions and comments from those interested in my Immortal Relations series. I guess we are still "on" for the blog of Friday, October 23rd for book #2 in the series and Saturday, 14 November for book #3...I'm looking forward to both! Welcome, Guy! Nice to have you here. Thanks Kayelle! I wish there had been a few questions or comments from readers but maybe that will happen over the next couple of days. I'll send the materials for the second and third book in the series soon.